Fraser Valley/Vancouver/Burnaby – On Thursday morning, the Provincial NDP government announced that it would explore options in order to erode any chances to have the Trans Mountain pipeline a reality. There is concern that in Laidlaw (45-50 acres by the Hope Scale off Highway One – North Side), ALR land will be used for a temporary staging area for crew and supplies for the twinning of the pipeline through the Eastern Fraser Valley. 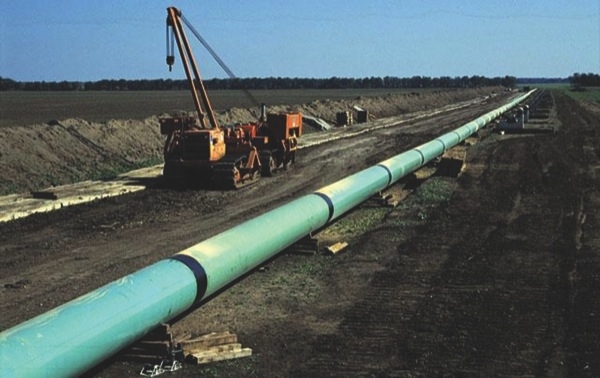 The Province in part stated: ” The provincial government is taking initial action on its commitment to protect British Columbia’s interests in the face of the proposed expansion of the Kinder Morgan pipeline and increased tanker traffic. At a news conference Thursday, Environment and Climate Change Strategy Minister George Heyman and Attorney General David Eby outlined both legal and consultation steps the government will take immediate action on. Kinder Morgan responded: The Company takes seriously the comments from the Province of British Columbia and will be carefully reviewing their statements and the steps outlined today. Trans Mountain remains ready and willing to meet with the Government to work through their concerns and the issues raised by them today. “We are committed to working with the Province and permitting authorities in our ongoing process of seeking and obtaining necessary permits and permissions,” said Ian Anderson, President of Kinder Morgan Canada Limited. “We have undertaken thorough, extensive and meaningful consultations with Aboriginal Peoples, communities and individuals and remain dedicated to those efforts and relationships as we move forward with construction activities in September,” added Anderson. The Trans Mountain Expansion Project has undergone an unprecedented level of scrutiny and review and has received approval from the Government of Canada, and is subject to 157 Conditions from the National Energy Board and 37 Conditions attached to the Environmental Certificate received from the Government of British Columbia. The Project will result in direct and lasting economic benefits for local communities, B.C. and Canada through investments in safety, jobs and the environment. Be the first to comment on "Kinder Morgan Responds To Province’s Legal Options To Shut Down Trans Mountain Pipeline"